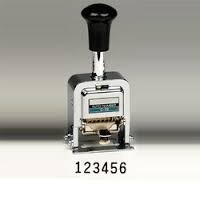 Our range of products include laser marking machines, sequential numbering machine, automatic numbering machine, automatic coding machine, consecutive numbering systems and numbering machine. 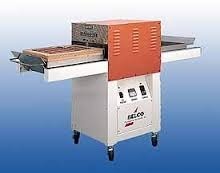 Laser Marking Machines is ideal for Numerous Marking Applications & Hallmark Centers with Life Time Support. 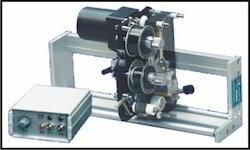 We are providing our clients Sequential Numbering Machine which is ideal for On-Line High Speed Coding on packaging machines or bottles moving on conveyor or Winder / Rewinder systems. 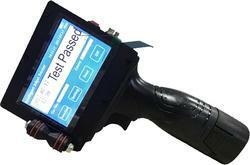 The 1 to 8 line message to be printed is easily composed on its Colored Touch Screen Graphic display with a combination of small, medium or large characters along with LOGOs, Objects & Scannable Bar Codes. The Inking system consists of disposable pre-mix ink cartridge using fast drying & indelible solvent-based inks (for porous and non-porous surfaces) which are push fitted into its slot to immediately start printing. Operating Range 0 to 45 deg. C, 10 – 90% RH non-condensing. Printing Area 8 lines of 120 char each from 1 to 18 mm high. Printing Speed Max. 65 Meters / min. for 1 to 8 line printing. Prints using Piezo-electric print head for spraying ink. Print Distance Max. 5 mm Down or in Front. Ink Drying Time Min. 10 seconds on plastic, metal & laminates. Impressions Appx. 90 million char. of 2 mm per lit. of ink. Dimensions 12X19X8 cm & 30X19X60 cm with stand. 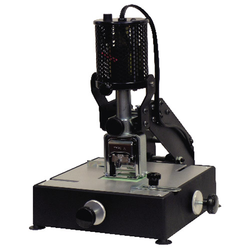 Industrial On Line Ink Jet Printer are ideal for On-Line High Speed Coding on packaging machines or bottles moving on conveyor or Winder / Rewinder systems. The message can be upto 4 lines with a combination of small, medium or large characters from 1 mm to 17 mm in height along with LOGOs. Printing Area 4 lines of 120 char each from 1 to 17 mm high. Printing Speed Max. 25 Meters / min. for 1 to 4 line printing. Dimensions 20X30X36 cm & 31X38X100 cm with stand. We are famous organization of Consecutive Numbering Systems. These products are manufactured employing the top quality raw material, acquired from trustworthy sellers of market. Our skillful professionals who have prosperous knowledge of this realm make the offered products. Our clientele can avail these products from us in varied specifications according to their necessities. NBF Answer Sheet Numbering Machine is used to print number, barcode, variable data and random data. Blister Sealers is used sealing blisters to a baseboard. 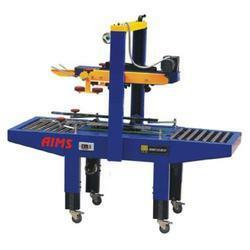 In this process, the machine use base foil as well as compressed air pressure and heat. 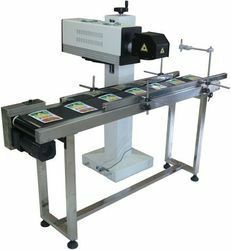 Carton Numbering Machine is used for mark serial numbers characters.It can print in Black ink on carton , Wooden cases , Paper or any porous plain surface. 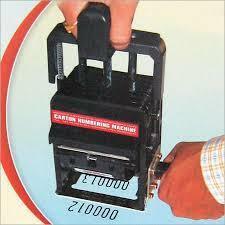 Looking for Numbering Machine ?